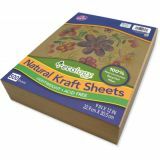 Use this lightweight Natural Kraft paper for drawing and craft projects with an environmental theme or for decorative purposes. Sheets are 100% recycled with a minimum of 80% post-industrial, 20% post-consumer fiber. Acid free and process chlorine free. Recycled and recyclable. Heavyweight, 65 lb. acid free paper is perfect for greeting cards, postcard, report covers, rubber stamping, memory books, flyers, announcements and more. Lignin free and buffered. Acid free and recyclable. Heavyweight 65 lb. 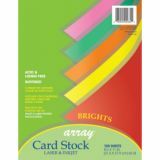 cover perfect for greeting cards, postcards, report covers, rubber stamping, memory books, flyers, announcements, and more. Lignin free, buffered. Acid-free. 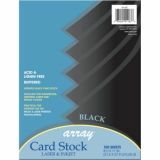 81⁄2" x 11", 100 sheets per pack. Heavyweight 65 lb. 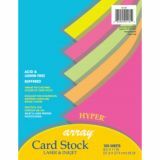 cover perfect for greeting cards, postcards, report covers, rubber stamping, memory books, flyers, announcements, and more. Lignin free, buffered. Acid-free. 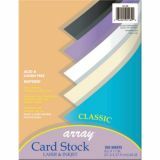 8 1⁄2" x 11", 100 sheets per pack. Ivory, Black, White, Violet, Cobalt Blue. Heavyweight 65 lb. 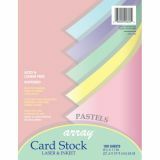 cover perfect for greeting cards, postcards, report covers, rubber stamping, memory books, flyers, announcements, and more. Lignin free, buffered. Acid-free. 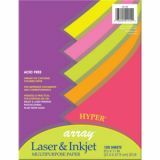 81⁄2" x 11", 100 sheets per pack. Violet, Pumpkin, Hyper® Yellow, Rojo Red, Hyper® Lime, Hyper® Pink, Cobalt Blue, Marine Blue, Emerald Green, Gold. Heavyweight 65 lb. 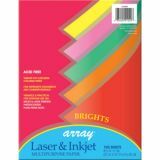 cover perfect for greeting cards, postcards, report covers, rubber stamping, memory books, flyers, announcements, and more. Lignin free, buffered. Acid-free. 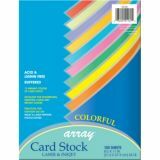 8 1⁄2" x 11", 100 sheets per pack. Yellow, Pink, Orange, Coral Red, Lime. Heavyweight, 65 lb. acid free paper is perfect for greeting cards, postcard, report covers, rubber stamping, memory books, flyers, announcements and more. Lignin free and buffered. Lignin free, buffered. Acid free and recyclable. Heavyweight 65 lb. cover perfect for greeting cards, postcards, report covers, rubber stamping, memory books, flyers, announcements, and more. Lignin free, buffered. Acid-free. 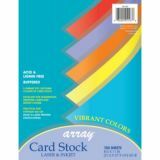 8 1⁄2" x 11", 100 sheets per pack. Pink, Blue, Canary, Green, Lilac. Heavyweight 65 lb. 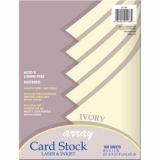 cover perfect for greeting cards, postcards, report covers, rubber stamping, memory books, flyers, announcements, and more. Lignin free, buffered. Acid-free. 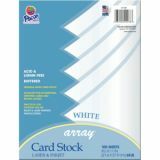 8 1⁄2" x 11", 100 sheets per pack. Pumpkin, Hyper® Yellow, Rojo Red, Cobalt Blue, Violet. High-impact colors make your messages bright. For flyers, reports, personalized stationery, announcements, newsletters and memos. Made from sulphite bond, perfect for high speed copiers, laser and ink jet printers. Acid-free. 8 1⁄2" x 11". Emerald Green, Rojo Red, Lemon Yellow, Pumpkin & Hot Pink. High-impact colors make your messages bright. For flyers, reports, personalized stationery, announcements, newsletters and memos. Made from sulphite bond, perfect for high speed copiers, laser and ink jet printers. Acid-free. 8 1⁄2" x 11". Yellow, Pink, Orange, Coral Red, Lime.